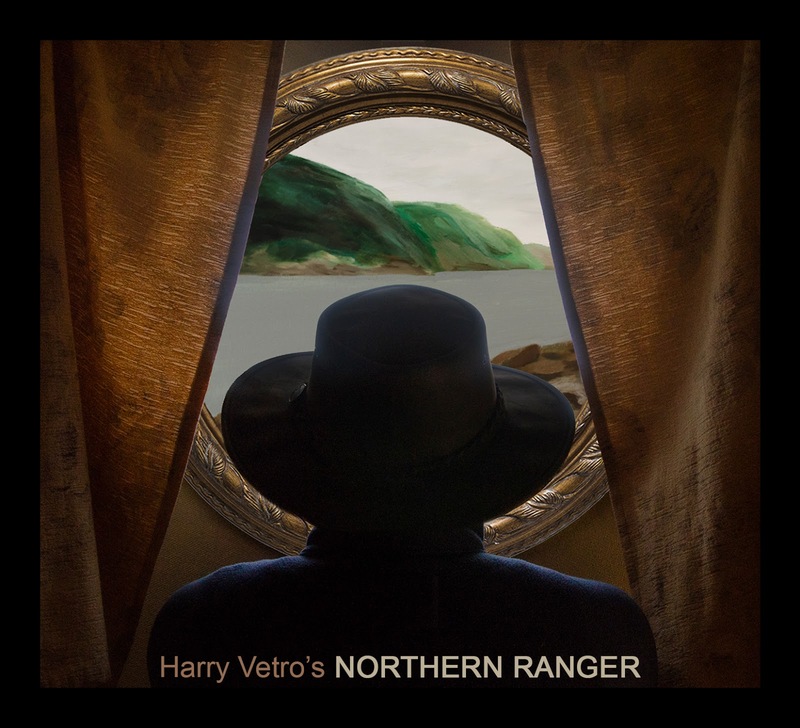 In 2017, as Canada celebrated 150 years of confederation, 23 year old Hamilton drummer Harry Vetro took to the road. He traveled coast to coast, visiting communities in Canada's six indigenous cultural areas (Arctic, Subarctic, Northwest Coast, Plateau, Plains, and Eastern Woodlands) in an effort to connect with musicians and artists from different backgrounds, and to better understand the land's long cultural history. A recent graduate of the University of Toronto Jazz program, Vetro leads an active performing career. 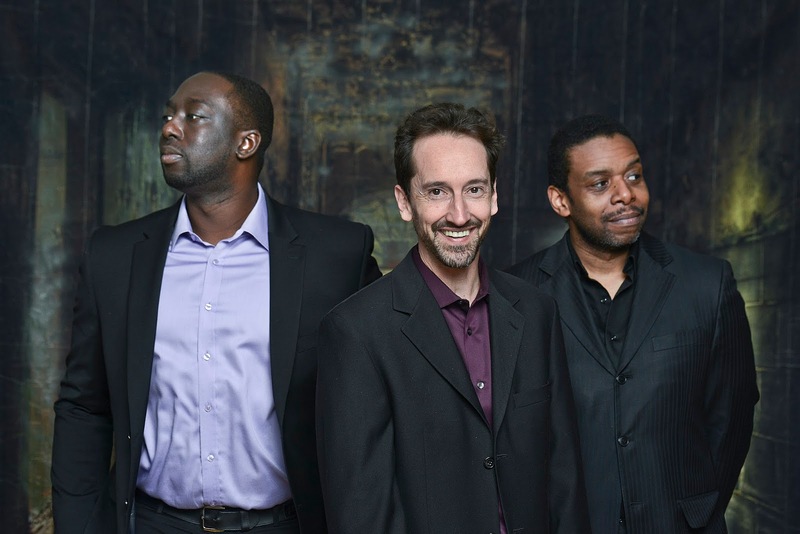 Past performances include the TD Toronto Jazz Festival, Ottawa Jazz Festival and Orillia Jazz Festival. Marty's review: Harry Vetro's impressive debut is an evocative and exhilarating production that combines elements of jazz, classical and world music to create an ethereal landscape of visionary musical images. Each composition sounds as if you have arrived at a destination and are taking in the scenery around you in a 360 degree turn. Subtle and conceptual instrumentation creates an atmosphere that is stratospheric and engaging in many ways. 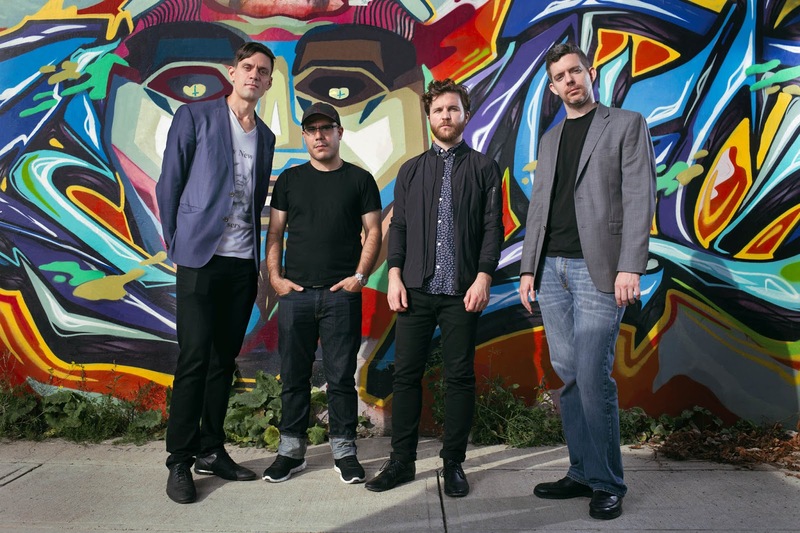 Sydney, Nova Scotia born/Toronto based drummer Ethan Ardelli has been one of Canada's most in demand jazz musicians for more than a decade. The Island of Form - his hotly anticipated debut album - features Chris Donnelly, Luis Deniz, and Devon Henderson, and is a showcase for Ardelli's highly developed compositional skills and drumming prowess. "The Island of Form" is a collage by artist Michael Poulton. It was given to me by my cousin Sharon and her partner Christine as a house warming gift. There are a number of overt as well as subtle symbols in the collage that connected with me. This collage - an assemblage of different forms that combine to create a new whole - aligns perfectly with my vision for my album. I'm inspired by many disparate things, and I wanted to take elements from each of these different creative worlds and bring them together in a new form." 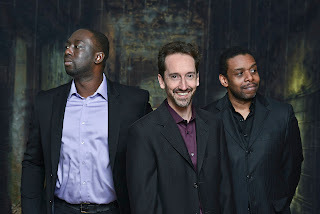 The album was recorded at Sear Sound in New York City by James Farber, the legendary engineer behind many touchstone jazz recordings that rank among Ardelli's favorites, including works by Michael Brecker, Joe Lovano, Brad Mehldau, Paul Motian. It was mastered by acclaimed engineer Greg Calbi, a jazz scene stalwart who also worked with John Lennon. 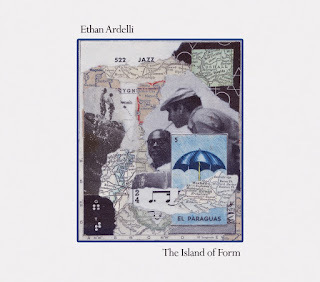 Marty's review: the diverse and exceptional talents of Ethan Ardelli and his unified musical partners come together on this adventurous and visionary release that is ethereal and sophisticated in its deliverance. Combining elements of jazz-fusion, classical and world music, each track creates a story in itself that takes the listener to levels of sonic ambiance, something like a magic carpet ride over fields of stunning and textured landscapes. 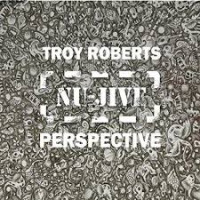 Troy Roberts’ latest release Nu-Jive Perspective is the convening of five soulful beings who take the listener on a creative journey through the architecture of Troy’s original compositions. The music is an eclectic, yet head-bopping concoction of Soul, Funk, R&B and Gospel music, all musically glued together by each member’s deep sense of Jazz etiquette. 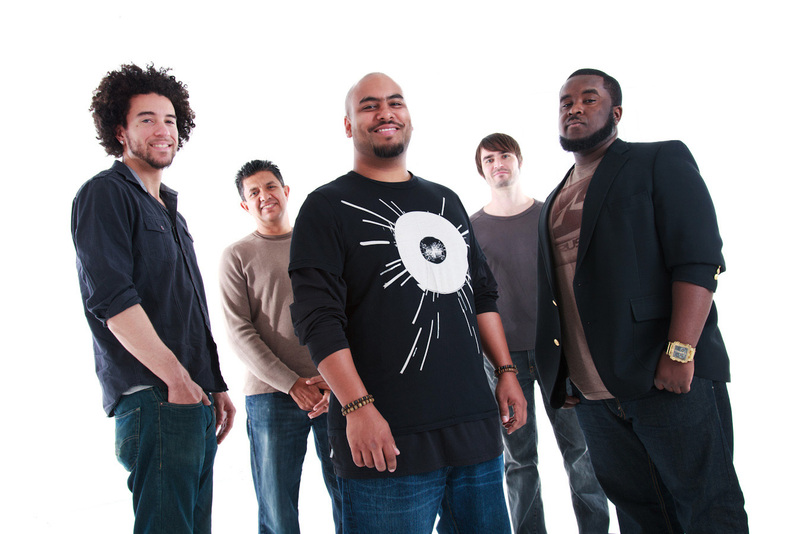 This particular lineup tours as Roberts’ ‘NU-JIVE’ band – an outfit that has captured the attention of many of the jazz luminaries he now works with, and although this is his 8th record as a leader, it is his 3rd album with this configuration of five best friends from around the globe. 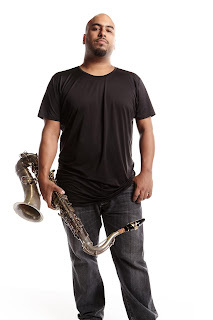 Hailing from the remote location of Perth, West Australia, saxophonist Troy Roberts has received numerous accolades including 3 Down Beat Jazz Soloist Awards, 2 Grammy Nominations, and was the only Australian semi-finalist in the 2008 Thelonious Monk International Jazz Saxophone Competition. Graduating with a Bachelor of Music at the young age of 19, he has performed around Europe and the US extensively with artists such as James Morrison, Aretha Franklin, Van Morrison, Christian McBride, Sammy Figueroa, Dave Douglas, Orrin Evans and Kurt Elling to name a few, and also completed a Masters Degree at The University of Miami. In 2012, he shared the stage in an international septet comprised of jazz giants Wayne Shorter, Richard Bona, Vinnie Colaiuta and Zakir Hussein for Herbie Hancock’s launch of International Jazz Day at The UN, NYC. Closing the album is ‘Remember The Days’, a evocation to Marie and Jocelyn’s time growing up together. 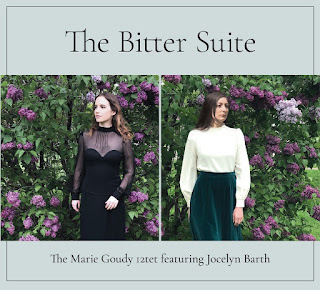 As an album, The Bitter Suite is ultimately a tribute to Marie and Jocelyn’s musical and personal relationship. It is a poignant and heartfelt record, sure to please all curious ears. Marty's review: this conceptual and cohesive release takes contemporary jazz to another level by harnessing the distinctive sounds of Mariachi with elements of bop to create a progressive symphony that is visionary and textured. The added bonus of vocalist Jocelyn Barth is an extra layer that is both sensitive and unique and makes the recording introspective and timeless. 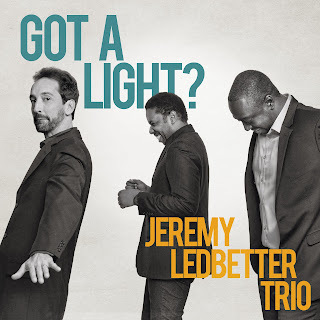 The Jeremy Ledbetter Trio’s debut album is a controlled explosion of big musical ideas, stylistic variety, vivid colours and compelling musical storytelling. This new project features three Canadian virtuosos -- pianist and band-leader Jeremy Ledbetter, drummer Larnell Lewis of Snarky Puppy fame, and bassist Rich Brown (Steve Coleman, Dapp Theory) -- at the top of their game. 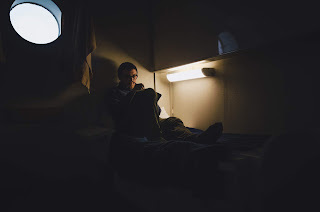 Ledbetter has made a fine career so far out of traveling to remote corners of the globe from Venezuela to Myanmar in search of musical inspirations. As the leader of acclaimed Caribbean jazz ensemble CaneFire and calypso legend David Rudder’s producer and musical director, Ledbetter is used to working with large bands and more rigorous definition. So it was a welcome change of pace not to have to leave his home city to create his first jazz trio record. 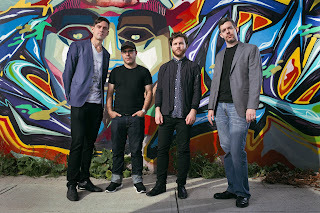 Eight of the songs are Ledbetter’s original compositions, plus a cover of “Gift Shop” by The Tragically Hip as a tribute to the great Gord Downie, recorded a week after his passing. Venezuelan world-jazz diva Eliana Cuevas makes a guest appearance on "Her New Wings", and the exquisite "Suspirito" features a duet between Ledbetter's piano and Reimundo Sosa on Afro-Cuban batá drums. Marty's review: the unified virtuosity of the JLT comes through on this release as they explore the boundaries of exhilarating and expansive jazz over nine masterful compositions. Their combined textured musicianship elevates their unique talents, creating an all-round togetherness that combines several genres of jazz from fusion to classic to Latin American. The result is a layered and finely-calibrated collaboration that is stylish and sculptural.